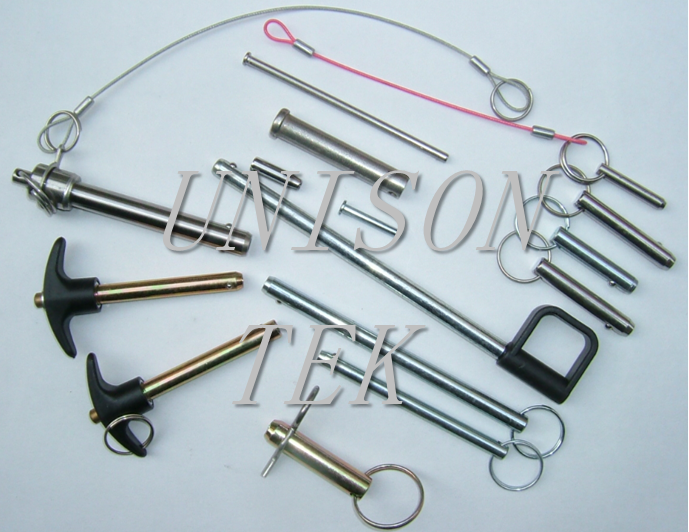 Quick release detent pin installed with ball and spring - UNISON TEK CO., LTD.
Clevis Pins refer to a class of non-threaded fasteners that characterized by their low cost, reusability, and less precise design. 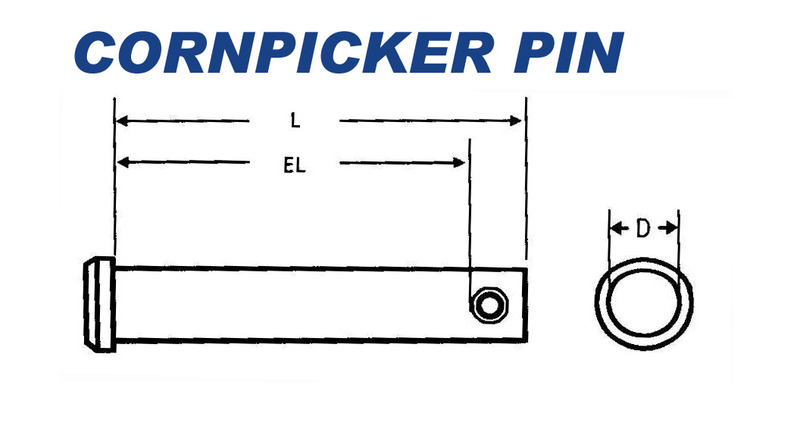 Clevis pins were known as cornpicker pins because of their wide us in agricultural products. 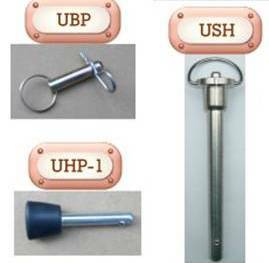 Generally, clevis pins are cold headed or turned from cold finished steel, including C1010~C1018 carbon steel, 1045, 4140 alloy and 1144. 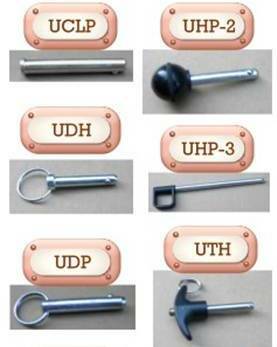 Clevis Pins can be used as a temporary quick-disconnect or permanent fastener in place of bolts and rivets. There is chamfered end for easier installation. Only one length per diameter.